FLORIAN C. REITER Considerations about the assessment and application of Feng Shui in Berlin. OLE BRUUN Feng Shui: a universal mode of thought? HONG-KEY YOON Cultural ecological links in “The geomantic landscape of a sailing boat” . MICHAEL Y. MAK Scientific research of Feng Shui applications for the built environment. WANG YUDE Feng Shui and architecture in Taizhou. make Sense of our environment. GYDA ANDERS Traditional Chinese architecture and Feng Shui. EDUARD KÖGEL Feng Shui in Germany. The transculturation of an exotic concept by Hugo Häring, Hans Scharoun and Chn Kuen Lee. TSAI SUEYLING Mount Hongding: Buddhist cosmology in geomantic topography. ALBERT T. SO AND MICHAEL Y. MAK Study of flying stars method of the compass school with case studies. MICHAEL PATON The cosmology of Yang Yunsong and science. STEPHEN L. FIELD, J.K. AND INGRID LEE The origin of Bazhai Feng Shui. ELLEN VAN GOETHEM The four directional animals in East Asia: a comparative analysis. The Fourth International Conference on Scientific Feng Shui and the Built Environment is about to take place in Hong Kong this weekend (20-21 Febfruary 2009). The monograph from previous conferences is now available for purchase, below is a description of the content and how you can get hold of a copy. Be quick because these are a limited edition prints. Feng Shui practice has become an important reference for the planning and design of buildings, monuments and even entire cities. In fact Feng Shui is an evolved study of the natural and built environment. By utilizing the natural elements and practical environmental changes, we may improve upon our well-being, relationships, prosperity, health and living environment. People in many advanced countries seek to establish a deeper understanding of these relationships between human and natural environment. Architects from around the world also begin to recognize Feng Shui as a broad ecologically and architecturally connected paradigm. To remove the shadow of superstition for Feng Shui practice, it is essential to use a scientific approach in the hope of combining and fusing ancient wisdom with modern knowledge in building science. Scientific Feng Shui has two meanings, namely (1) the verification of Feng Shui principles scientifically and (2) studying Feng Shui logically in a scientific way. 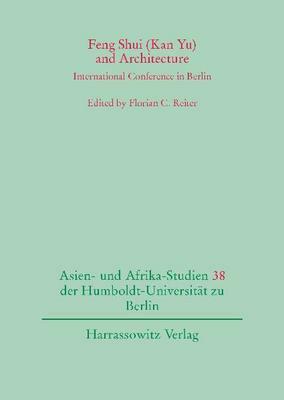 This volume comprises 13 high-quality essays, which were well-organized into four parts to reflect the current trends and the future development of the research undertaken in the built environment. This book will address the growing demand for architects, building professionals and other property practitioners to apply the concepts of Feng Shui in the built environment. (1) You may mail your orders to the City University of Hong Kong Press, City University of Hong Kong, Tat Chee Avenue, Kowloon Tong, Hong Kong by accompanying a bankdraft or an international money order denominated in US Dollars and made payable to the City University of Hong Kong. (2) For orders paid by VISA, please fax the order form to us at (852) 2779 3071, or mail it to us direct. If you wish to pay by VISA, please convert the total into Hong Kong currency using the rate US$1=HK$7.8.